Thick and soft towels with a beautiful monogram make the perfect gift for many occasions. 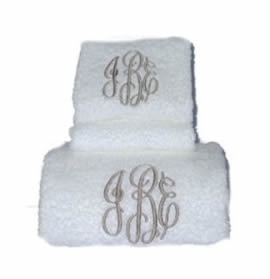 A monogrammed hand towel is a wonderful wedding or house warming gift. Measures 16" x 28"